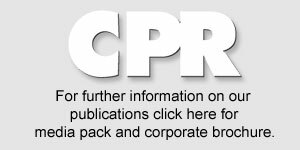 Read about the latest news, views and developments in the commercial property world from our industry expert. View our extensive range of commercial Office and Industrial properties to buy, lease and rent in the South Coast Central area. As a symbol of the buoyant economy of the South Coast, the investment of £500 million by Exxon in its Fawley, Southampton oil refinery takes a lot of beating. This is Exxon’s largest investment in the UK for at least three decades and if approved by local authorities, will improve the volume and quality of the refinery’s products. It also means a boost to investment in the region. Against the gloom of Brexit, the statement by Exxon’s Simon Downing sends a positive message that “we see a long-term future for Fawley and we’re looking to make a significant investment in the site." The investment comes at a time when the commercial property market on the South Coast is going through a purple patch, particularly for the industrial side where demand is high, rents rising and speculative development coming through. That is the message from Russell Mogridge of Vail Williams, who goes on to say “The industrial sector is really boiling at the moment, demonstrated with record rents for new speculative schemes that are breaking the £107.60 a sq metre (£10 a sq ft).” This has brought higher land prices combined with strong demand from funds to buy industrial parks even though yields are less than 5%. 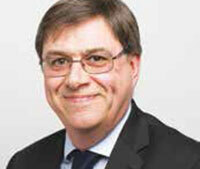 Mogridge added that “prime industrial land prices are close to £1 million an acre. We will see a second wave of speculative development across the Solent corridor next year, including a new unit by Kier at Logistics City, Whiteley on the Solent Business Park." Mike Greenwood of Vail Williams said: “The Solent region is thriving economically with hundreds of businesses at any time requiring large or smaller premises, new leases, rent reviews, valuations, structural surveys and dilapidations advice." Lambert Smith Hampton (LSH) highlights the fact that the South Coast industrial market has been “rejuvenated” by an influx of high quality premises that are further strengthening the region’s appeal to national and international businesses. In the second quarter, said LSH, transactions for industrial property reached £100 million. Adrian Whitfield of LSH said: “The long-awaited influx of prime stock is continuing to fill the market providing occupiers with Grade A buildings that they have been craving. The rejuvenation of industrial stock has reinforced the region’s appeal." The LSH report does warn however that there is a problem with a growing shortage of cheaper secondary stock as well as a limited supply of new smaller units. Take-up in the second quarter was 21,435 sq metres (230,730 sq ft). Inevitably, the increase in speculative development has meant a rise in the level of supply. The strength of the market spread out from the coastal areas inland to other business locations, such as the 160-acre Solstice Park, Amesbury. Here the initial phase of the first new build for more than a decade has now been sold through Myddelton & Major. The 12 units in the Bluestone Centre were developed by Nationwide Engineering of Salisbury. Cliff Moore of M&M said: “This demonstrates both a growing confidence in the region’s commercial property market and an acute shortage of capacity. At Glenmore Trade Park, Andover two national car parts companies have taken space - GSF Car Parts and Motor Parts Direct. Glenmore’s Tony Morpeth said: “There is significant interest in the three remaining units which are suited for trade counter or industrial use in a prominent position at a busy road." Trade counter parks are particularly popular at the moment as can be seen with Southampton Trade Park now fully occupied after Toolstation took space through LSH and Hellier Langston. It was bought by CBRE Global Investors for the ICI Pension Fund in 2009. An example of the expansion of industrial property is provided by PC Building Supplies which has moved into new premises on the Hardley Industrial Estate and at the same time created a new business park. Hellier Langston handled the deal which saw PC buy the site of a former Racal Vodafone facility from New Forest District Council after it had been derelict for a number of years. The development means PC relocating from central Hythe. There are six small units to let in the scheme, marketed by Hellier Langston which has transformed a brownfield site in Hampshire into an attractive work environment. If there is one warship that symbolises Portsmouth it has to be a large aircraft carrier. Now the Royal Navy has its largest ever carrier there, the Queen Elizabeth, berthed close to HMS Victory. The huge 65,000 tonne warship can be seen from miles away when it is in its home port and it seems to say something about the surge in the local economy. For example, London & Scottish Property (LSI), asset manager of the Regional REIT, has paid Northwood Investors £4.9 million for an office building at Port Solent. The 5,795 sq metres (62,379 sq ft) property is let to Ageas Insurance until 2026 giving a yield of 8.05%. Stephen Inglis of LSI said: “The acquisition of One Port Way complements our strategy of building a high quality portfolio of assets across the UK. We have been actively looking to up-weight our exposure to the south east." Another indicator is that Aviva’s Nelson Centre, after a refurbishment, has achieved record rents for the Portsmouth area. Five businesses have moved into the centre through Lambert Smith Hampton and Vail Williams with the top rent a record £107.60 a sq metre (£10 a sq ft). 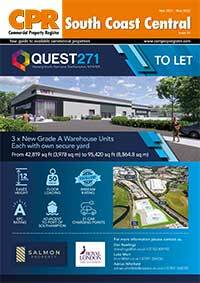 Guy Jackson of LSH commented: “The new headline rent is great for the local economy and underlines growing demand for high quality industrial premises within the city. Historically, Portsmouth has lagged slightly behind Southampton in terms of demand for industrial property, but we are seeing this gap narrow." A further example of the viability of the city’s market is that Highbury College, the local further education specialist, has sold the 4,497 sq metres (48,409 sq ft) City Learning Centre through Vail Williams for £5.7 million to the University of Portsmouth. Russell Miller of Vail Williams said: “The deal is one of the largest freehold acquisitions in the Portsmouth area for many years. There was strong interest in this unique building." Underlining the positive view of Portsmouth is the £10 million expansion of Merlin Park with seven high tech units on Portsea Island. It was the largest speculative scheme in the city for years. Canmoor Developments took on the 6.5 acre brownfield site with marketing by CBRE and LSH. The seven units are large by local standards and Guy Jackson of LSH said “units of this size and quality are scarce across the South Coast, particularly in Portsmouth where there is a desperate need for new stock." The area has a proliferation of top companies, such as Screwfix, BAE Systems, Booker and ATS. One of the largest industrial warehouses in the region at Hounsdown Business Park, Southampton has been bought by TH Real Estate. The 125,255 sq ft unit has been refurbished and named Optima 125 and is being marketed by Knight Frank & Lambert Smith Hampton. Marcus Langlands Pearse of TH Real Estate commented “Optima 125 is an institutional quality building with all the bells and whistles”. At Segensworth, work is nearing completion on the 75,000 sq ft Radial 27 warehouse situated on the former Palmer & Harvey site. The unit is being marketed by Hellier Langston & Lambert Smith Hampton and is quoting a rent of £8.50 per sq ft.
Matthew Poplett at Hellier Langston said: “We have a number of interested parties in this unit which doesn’t surprise me due to the location, size and lack of good quality competition in this location”. A factor in the buoyancy of the market in the region is the expansion of existing businesses who then move on to take more space. One of these is the laboratory products specialists Alpha which has now taken another unit through LSH on the Boyatt Industrial Estate, Eastleigh. Vail Williams has merged with Hughes Ellard in a move that sees the two companies combine their strengths to become one of the largest commercial property agencies in the region. The move will result in a combined team of over 50 based in the Solent which will continue to service clients across the South coast. In total, the Vail Williams national team will now number more than 160 across eight offices. Flude Commercial have merged with Garner Wood in Portsmouth adding to their Chichester and Brighton offices. Both firms specialize in commercial property and the merger will create a team of over 30 people. Primmer Olds has announced that its new Bournemouth office will soon be operational following the signing of a lease on office space in Westbourne. What is gratifying about the region’s economy is the fact that according to JLL, technology has become the driving force for a revolution in the property industry. “Across the property industry, from residential to industrial, technology is having an unprecedented impact on the design, scale and value of property,” said JLL’s Metropole Report. In the industrial sector, technology is driving demand for large warehousing, in particular to make space for robotic capability which JLL believes will bring dense development, such as multi-storey warehouses along the South Coast as has already been seen in London Docklands. For offices the JLL view is “technology has already delivered a greater degree of flexibility for staff, enabled by remote and smarter technology, shifting the emphasis to wellbeing." Technology has also had a profound impact on residential development where demand and government pressures are so strong. Increasingly, builders are using modular construction methods. This is happening across the South Coast. Emma Eaglestone of JLL commented: “We are seeing increased demand for bigger, more versatile, industrial space, often with a view to accommodating sophisticated technology such as robotics for large scale distribution." Eaglestone suggests that the next big area of change will be the High Street with “truly mixed-use development” becoming the mainstay. The result will be that national retailers will move away and there will be an integrated blend of houses and apartments interspersed with retail units, bars, restaurants, entertainment and leisure as well as business space. It could be argued that what goes around comes around since this image of town and city centres returns us to earlier eras when there were few multiple retail outlets and people lived in the areas - and even shopped daily rather than driving to a supermarket. Such change is likely to bring more adventurous architecture and emphasis on the environment rather than, say, motor transport. One of the more unusual deals in Dorset is the sale of an industrial building in Christchurch through Vail Williams for conversion to a church. Previously occupied by Curtiss- Wright, a defence products and engineering company, the 2,258 sq metres (24,303 sq ft) property has been acquired by GodFirst Church. The quoted price for the property was £1.5 million. Winchester is to have a £38 million sports and leisure centre now that Willmott Dixon has been selected by the city council for the scheme. The facility in Bar End will include an international sized 50 metres swimming pool, studios and hydrotherapy suite plus eight treatment rooms. Richard Poulter of Willmott Dixon said: “This facility will create an inspiring and inclusive physical environment serving residents.” Construction is expected to start in spring 2019 and completion by early 2021. VW Breeze motor Group is taking a new bespoke 12,810 sq ft facility, including van servicing and office space at Dunsbury Park, Havant and will start trading by the end of 2018. Another new 37,976 sq ft spec-build warehouse will be available at the Park in March 2019. Lambert Smith Hampton (LSH) are predicting more demand for warehouse space post-Brexit and a potential economic and employment boost for the South. Jerry Vigus, at LSH, said that proximity to the ports of Southampton and Portsmouth could give commercial advantage to trading businesses and could result in increased uptake of warehousing space. He goes on to say: “All the evidence we are seeing points towards the fact that British businesses will want to keep goods closer to home postBrexit. Britain is historically an ‘underwarehoused’ country and the warehousing market continues to be squeezed both on the supply and demand side. With two major ports on the South Coast and a strong network of transport links, I would expect Brexit to result in a significant spike in demand for warehousing in the region." Depending on the outcome of the negotiations, LSH also believes there could be increased demand for a specific type of unit, bonded warehouses, which effectively act as dutyfree zones. Bonded warehouses, certified by HMRC, allow goods to be stored without payment of import taxes before they are shipped to consumers. The warehouses are common in China and although some do exist around the UK, the EU’s open borders and standard tariffs have meant there has been little demand for them over the past decade. However, as Brexit negotiations continue, LSH believes there could be a resurgence of demand for bonded units, particularly in port cities such as Southampton and Portsmouth. This could provide an opportunity for landowners and developers in the south to capitalise on demand and help attract business to the region, particularly if action is taken before other parts of the country start to offer bonded facilities. Adrian Whitfield, Director, Industrial and Logistics for LSH on the South Coast, explained: “It’s very difficult to predict the outcome of the Brexit negotiations and what tariff arrangements will be in place once the UK leaves the EU. However, there are scenarios in which bonded warehouses could be of huge benefit to businesses. “Manufacturers which, for example, import goods that they then use to build products before reexporting them would be able to store those goods taxefficiently even if the UK does not still enjoy the benefits of the customs union. An important factor in the pace of economic growth in the region is that Southampton and Portsmouth are among eight cities showing above average tech employment This view comes in the latest Annual Report by Tech Nation and brought the comment from Nella Pang of JLL that it is “no surprise that tech companies are targeting Southampton and Portsmouth for growth. Both have universities with their own specialisms in key areas of cutting edge technology, providing quality talent locally, with many students staying in the region after graduation." The South Coast provides a low cost alternative to London and investors in the region are adapting their business models for flexible floor areas, collaborative working areas and flexible lease terms to meet this growing demand, added Pang. Underlining the attractions of the region for tech companies, the Formula One component supplier Monolution has taken 1,719 sq m (18,500 sq ft) unit in Havant. Guy Jackson of LSH, who handled the deal, said: “The company is keen to stay in Havant and this new location is particularly appealing in terms of accessibility at the crossroads of the M27 and the A3”. ournemouth Airport has become an increasingly attractive location for tech industries. The largest deal at the airport, which is managed by Regional & City Airports (RCA), brought Games Aviation from Oxford and Farnborough with its turboprops and jet maintenance activity into a 12,634 sq metres (136,000 sq ft) building. 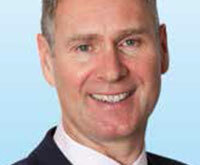 RCA Chief Executive, Andrew Bell, said: “The arrival of Games Aviation - a truly significant player in the aviation sector - is evidence that our growth plans are bearing fruit less than a year into ownership.” It brings the total number employed at the airport to more than 2,000. In addition, Goadbsy has let a 3,791 sq metres (40,812 sq ft) unit to Mass Concrete, which is now being refurbished. Chris Wilson of Goadsby commented: “Bournemouth Airport has once again demonstrated that it can attract occupiers requiring substantial premises and it will be good to see a former hangar transformed into a modern business park unit." Earlier in the year Goadsby acted for the airport complex in letting 1,551 sq metres (16,693 sq ft) to I-Koncepts. Wilson said: “I-Koncepts have a large warehouse in Christchurch and needed urgently additional warehousing within the locality. It was impressive to see how quickly both solicitors acted to bring completion within weeks." RCA has plans to expand the amount of commercial space at the airport as well as increase the number of passengers from the current 1.7 million a year. A major trend that has developed across the board in the commercial property business in the past few years is the shift to seeing quality above anything. City centre offices now have to have a range of facilities to suit occupiers, such as changing rooms and showers for employees that cycle to work. The view from LSH is that investors are choosing quality above quantity on the South Coast as it is one of the key regions for industrial property. In the push to attract tech companies to Southampton, Network will open a facility above the Marlands Shopping Centre early next year. It is aimed squarely at creative, digital and knowledge-based businesses in flexible shared co-working space which is being funded with £1.5 million by the city council and Ellandi, the asset manager of the Marlands. The planning and design firm, Barton Williams, is another mover within the city and has taken space in the White Building, Cumberland Place. 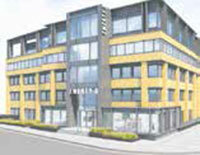 Previously it was in Ocean Village where a spate of summer lettings at the Innovation Centre has brought 92% occupancy. Demand for big sheds continues at a high level and the 2018 outcome is likely to be close to the 2016 record of 2.97 million sq metres (32 million sq ft), said Colliers International. High third quarter demand has brough the level of supply for big sheds nationally down to 1.5 months. The average decline in the availability of large space has fallen by 71% in the past 10 years and in the south east the figure was 75%. While the industrial sector sets the pace in the region, offices have also staged a recovery with prime rents in places like Lakeside, North Harbour up to £215.20 a sq metre (£20 a sq ft). There has been a lack of Grade A supply for years but demand is now strong from professional services, said Russell Mogridge, so that design and build and pre-lets are likely over the next 12 months. The refurbished Grosvenor House in Southampton provides an example of the type of office building that is now needed. The 2,752 sq metres (29,621 sq ft) property has been refurbished by owner Ameriscot Commercial and has recently secured a letting to WP Fuels who have taken a 10 year lease at £21 sq ft in a deal brokered by Lambert Smith Hampton and Vail Williams. Nik Cox of Vail Williams said: “There is a distinct lack of Grade A offices in Southampton city centre and with its flexibility, Grosvenor House is the answer for companies wanting space from 372 sq metres (4,000 sq ft upwards)." Bill Parker of Ameriscot said: “Grosvenor House is very much part of our ethos of creating high-spec working environments at competitive prices with low fixed service charges." The marine business is also a vital part of the local economy in the Bournemouth area. In Poole, Goadsby has sold a unit in Virage Business Park on behalf of a private investor to Dolphin Marine. Chris Wilson of Goadsby pointed out that there is a shortage of freehold industrial/warehouse units in the area at a time of high demand. Also in Poole, Merck House, which was once earmarked for conversion to residential use, has been refurbished by Titan Property Developments and sold and let through Lambert Smith Hampton. LSH’s advice was that the shortage of offices locally indicated that the 5,110 sq metres (55,000 sq ft) property would do well as offices. It has attracted a string of tenants such as Dixon Carphone and Utility Point and achieved a record rent for the town of £193.68 a sq metre (£18 a sq ft). Andy Hodgkinson of LSH said: “To have pushed prime rents for the town to new heights is testament to the strength of the Dorset economy. The views from the upper floors are quite breath-taking." Following the refurbishment and lettings, LSH has sold the property to Trinova Real Estate for £11.8 million. Goadsby is also marketing a 1,095 sq metres (11,782 sq ft) industrial building at the Victoria Avenue Industrial Estate, Swanage as a freehold deal for £699,500. It has a mezzanine floor with extra space and is, by the standards of the area, a large industrial property.